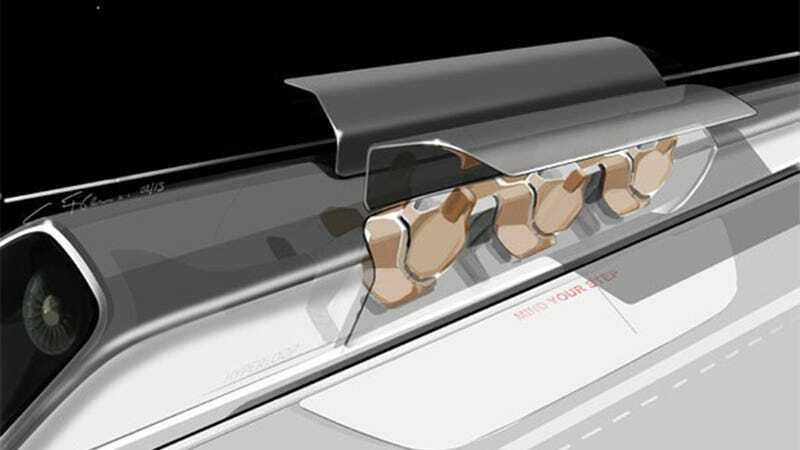 Elon Musk is coming out about his Hyperloop. He's revealed plans for this super train, after teasing the public for months about a revolutionary technology that could send a train hurtling from San Francisco to Los Angeles in 30 minutes. Here's how it would work. First of all, to make this train cost-effective, it would likely only run between cities that were less than 1,000 miles apart, like San Francisco and Los Angeles, or New York and Boston. This still doesn't answer one fundamental question: How will the damn thing work? We trust that Musk has some ideas, given that he's the guy behind Space X and the Tesla. But Musk is more of an entrepreneur than an inventor, so it makes sense that he's talking about the price tag rather than the technologies underlying it. California's high speed train project, getting underway this year, is predicted to cost $70 billion. Musk says his Hyperloop would cost at most $10 billion. Sounds great. Now show us the technology.